Never order parts from Mr Exeter……. 9th October 2013 – Some further scribblings from the fringes of the world of music…….. The ever productive Dr. Johann Kloos posted a Soundcloud link on my Facebook timeline with an epic 8 minute three parter called – naturally of course – “In Three Parts” or possibly “Celestial Mix”. The individual parts are sonically similar but sufficiently different enough to warrant significant listening time viz: The Next Move, The Church of Me, and Destruction. Moving from lo-fi guitar sounds, through serial vocal sampling to jazzy pointillistic chording this is a tour de force. I am not sure from what part of the good doctors career this emanates but it would appear to be labeled as 2009. To be featured on a forthcoming Aural Delights Podcast. Following on from last year’s re-release of “Darby Crash Rides Again” and “The Fatal Erection Years”, Southern Lord are doing the same with Poison Idea’s 1986 album “Kings of Punk”! The album will conist of 11 freshly re-mastered studio tracks, as well as three live sets spread over two CDs, produced by Jack Control (World Burns to Death). As well as the audio content, this reissue is full to the brim with liner notes, archive flyers and photos of the band from the era. The band also announced the return of Eric “The Vegetable” Olson to the line-up. Once I get the promo I shall be sharing tracks on the Sonic Attack podcast. I am advised to watch out for a talented 19 year old called George Barnett, who is in the middle of a tour at the moment. He was at Sound Control, Manchester two weeks back but the information arrived in the middle of the Salford Music Festival coverage and therefore got filed under – listen later. Always keen to evince opinion on new “talent” I posted a video on Facebook and got a mixed response from my chums in the wonderful world of music. Animal Keeper is the leading track of a upcoming EP. It is available to pre-order now and for sale and download everywhere from October 27th. I leave you to draw your own conclusions. The Blackpool Music Festival kicks off this week with notable Salfordian exports AAAK, Positronik, Red Stars (new single due) and Kit B all making appearances across the town of glittering lights. Having caught three of these combos at the Salford Music Festival I have to say the people of the Fylde coast are in for a treat. In further AAAK news they play Islington Mill on 19th October with Section 25. Sadly, and by some strange and spooky coincidence, this once again clashes with a Kill Pretty gig – the latter who will playing at The Royal Oak in Chorlton along with Una Baines’ Poppycock and the rather lovely Factory Acts. AAAK will then be off to Czechoslovakia for a couple of nights and then a lengthy tour with Pixies across Western Europa. In further news Mr Ding says a new single is on the way. As I have already listed combos featuring four ex Fall members I am duty bound to draw to your attention the founder member Mr Bramah and his rather marvellous Blue Orchids who are playing Mad Ferret, Preston on 12th October along with Poltergeist, Clinic and Alien Ballroom. 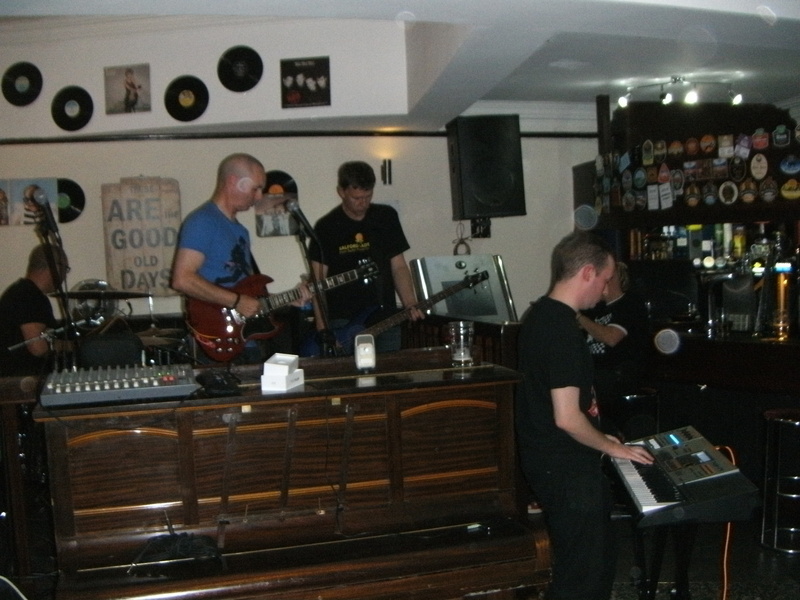 Mr B has also given us ample foreknowledge of a Blue Orchids gig at the Star and Garter in Manchester on 15th February 2014. And whilst I am on the subject of Kill Pretty they will be playing Melo Melo in Liverpool on 24th October before jetting off to Iceland. And finally the inestimable Rapid Pig (featuring Blue Orchids keyboard man John Paul Moran) will be on tour across the UK from October 18th with gigs in Glasgow, Edinburgh, Stockton, Preston, Birmingham (two nights) and Bristol. More details at their webpage at http://www.rapidpig.co.nr/ which includes a link to my review of the “Wildlife” album.If you have not caught them live then here is an example of a couple of their oeuvre……new bass player now in place so it will be interesting to see how, if at all, the sound has changed.